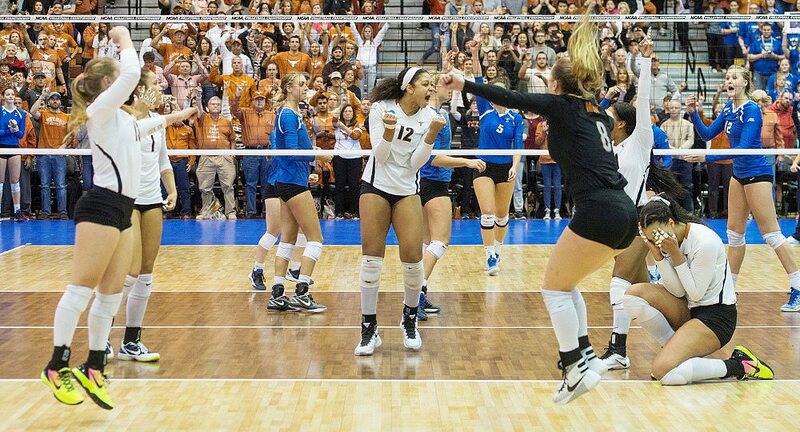 The Texas volleyball team gets a chance in the NCAA semifinal to avenge two losses to Nebraska: one in August and the other in last year's NCAA championship match (photo courtesy of texassports.com). AUSTIN, Texas — There’s a lot to be said about the Texas volleyball team’s continued string of success and five — count 'em, five — straight trips to the NCAA semifinals, especially considering the different skillsets of the players the Longhorns have put on the court since 2011. Alas, UT has just one national championship, in 2012, to show for the past four appearances in the NCAA championship tournament.